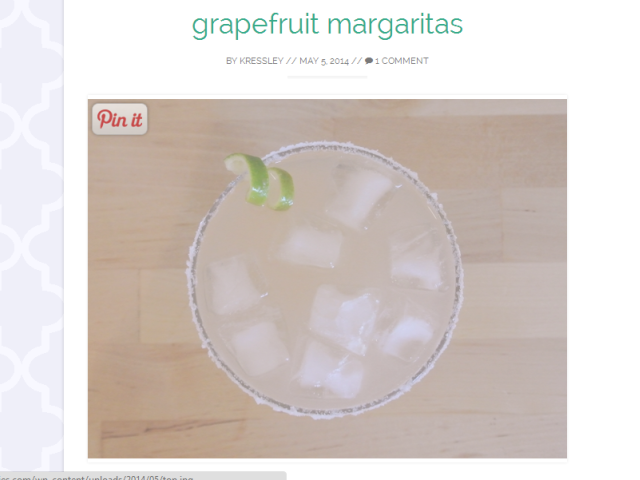 When I first started Crafty Sundries I wasn’t sure if I would enjoy blogging. I knew that the only way that I would find out was to just do it. I decided to start my blog on wordpress.com because it seemed easy to set up and was free. I figured if it didn’t stick, then there wasn’t too much commitment on my part. 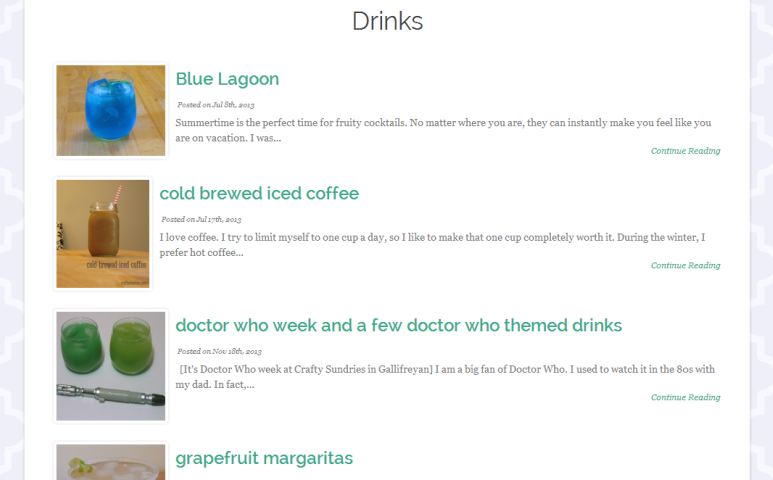 Over time, I realized that there were some features that I wanted to add to my blog that I couldn’t do through a wordpress hosted blog, so I looked into turning it into a self hosted blog. This week I moved it. It ended up being a little more labor intensive that I had liked (I had to re-upload all of my pictures, blergh), but I think the end result is worth it. 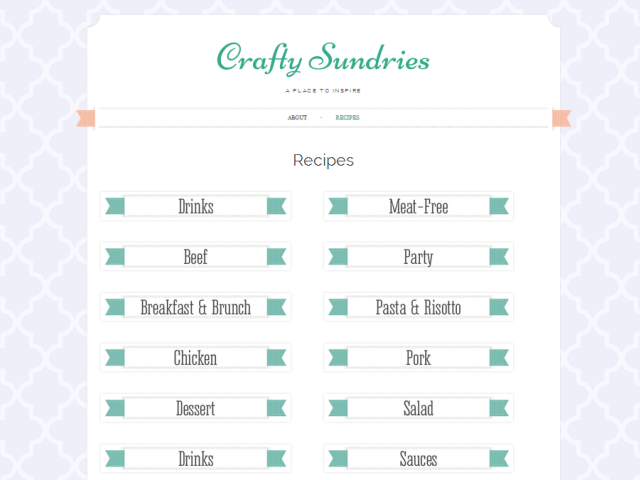 Not only did my blog get a face-lift, but I also added a Recipe Index, and am in the process of creating a crafting index as well. I hope that this will make it easier to find what you are looking for. I also added a “Pin It” button on my pictures so it is easier to connect with Pinterest. Pinterest is my number one traffic source, so I figured I would make it easier for people to connect through there. 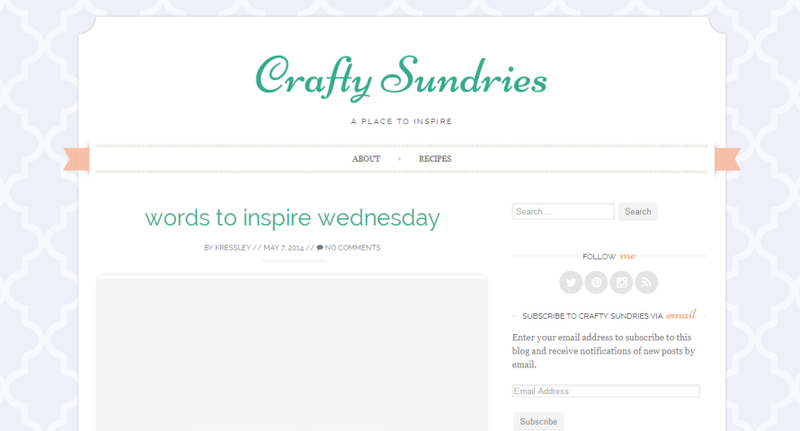 I am going to leave craftysundries.wordpress.com up for the time being, but if you used to visit the site through craftysundries.com, it now redirects here. If you followed me through wordpress.com’s blog reader, I don’t believe you will be getting updates anymore. I did set up a rss feed and you can follow me by getting an email every time I post by using the sign up form in the sidebar. Thank you again to all of my readers, and I hope you love the redesign as much as I do!